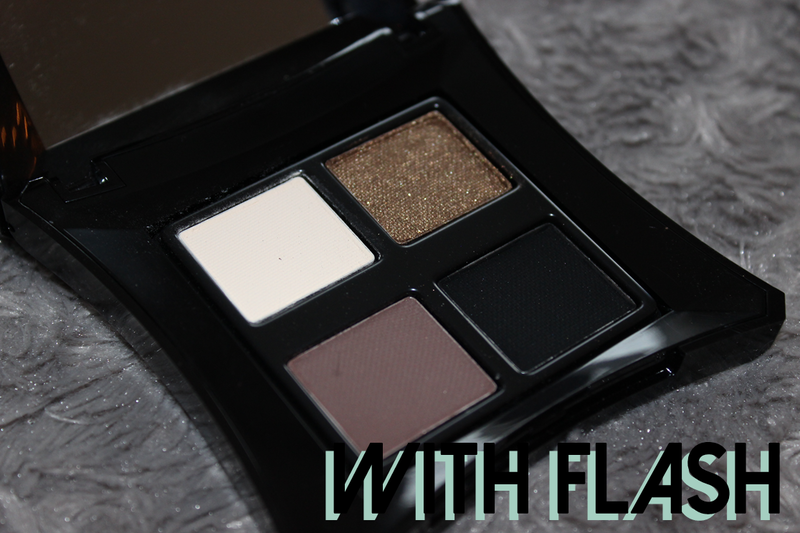 The Best Eye Shadow Brush Ever? This has to be my favourite eye shadow brush of all time. So much so, I now own at least 8 of the same one and it is the Elf Professional Blending Eye Brush. These brushes are so fluffy and soft with the bristles packed together enough to not be floppy and just enough to not be overly dense. The brushes pick up and hold the shadow very well making it so easy to build up colour and blend out. When I originally bought my first one, I was worried that the bristles would become loose quickly especially when washing but I notice no more falling out than any other brush I own which did surprise me. To compare against the brush most eye shadow lovers use, I prefer these ones so much more than the MAC 217. In fact my MAC 217 bristles have turned green after just two washes with baby shampoo! The only reason this wouldn't get a full five star review is as they are white and silver, they do get dirty pretty quickly so they would be preferred in a darker colour but as I already said, they clean really well so not too big of a deal. This brush is part of their essentials range and in the US sells for just $1 which is the equivalent to just 64p at the time of posting. Unfortunately eyeslipsface.co.uk is currently down so I can't give you an update of how much it now retails for over here in the UK. However when I bought my last ones back last March, they were having a site wide 50% off sale making these 75p each. If you log on to the UK site you can enter your email to find out exactly when it relaunches. Let me know if you own this brush and what you think of it or if you have another favourite eye shadow brush. Once you have fallen in love with make up, there really is no going back. Even though my blog has been well and truly neglected for the past year and a bit, my love for the world of beauty has remained strong. My own writing and voice became somewhat silent but nevertheless I am still an avid reader and viewer. In April 2015, I began my second year university exams and shortly after that I was off on holiday to Florida (where I spent a good 3 hours in Sephora with purchases amounting to an eye-watering total at the till). Then August came around and I began my one year placement in the events industry which took up a very unexpected level of my time and henceforth meant leaving my little space on the internet all alone. But as it comes to end and I approach my final year of university in September, I hope to somewhat revive it with content and beauty ramblings. 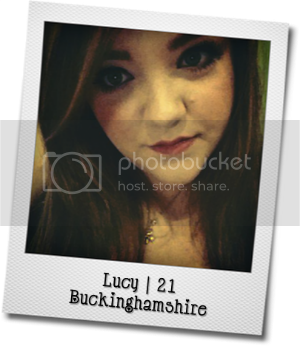 lucylovehart has had a bit of a make over so I hope you like the new design and there is plenty more to come! I have always admired Illamasqua for their unique brand and bold style. Their packaging stands out in a great way and I felt it time I invested! Bloggers often talk of their sculpting duo but I wanted to try some of their other products. I bought their 'Neutral' eye shadow palette, 'Beg/Bronzerella' powder blush duo and a lipstick in the shade 'Climax'. This has very fast become one of my favourite lipsticks. 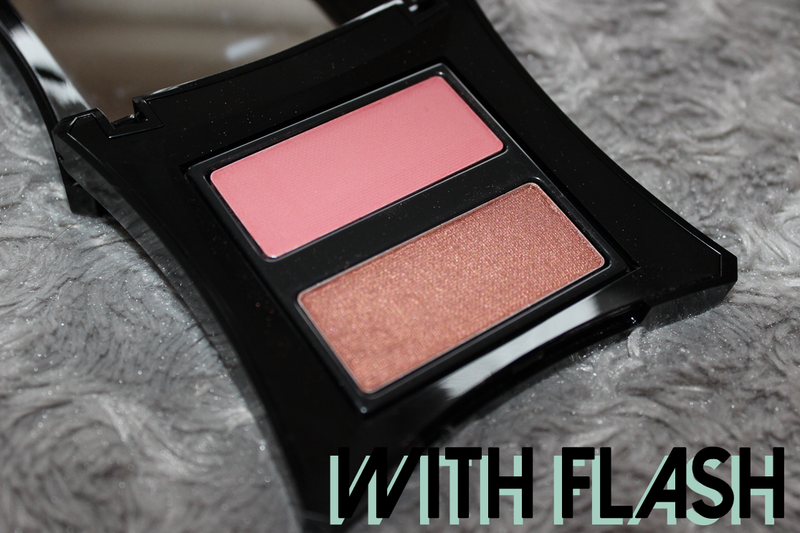 The colour is gorgeously pink without being over the top and therefore wearable day to night. It's not overly pigmented like I find some lipsticks are where you have to wear lip liner underneath to avoid smudging all over the place. The shape is different to any others that I own in that it is squared at the top like Tom Ford lipsticks which I find really easy to use as it fits your cupid's bow well as well as creating a smooth outline. I love to wear this lipstick with any of my pink Maybelline Color Sensational lip glosses and would really recommend this to everyone. I will definitely be looking at getting another Illamasqua lipstick. 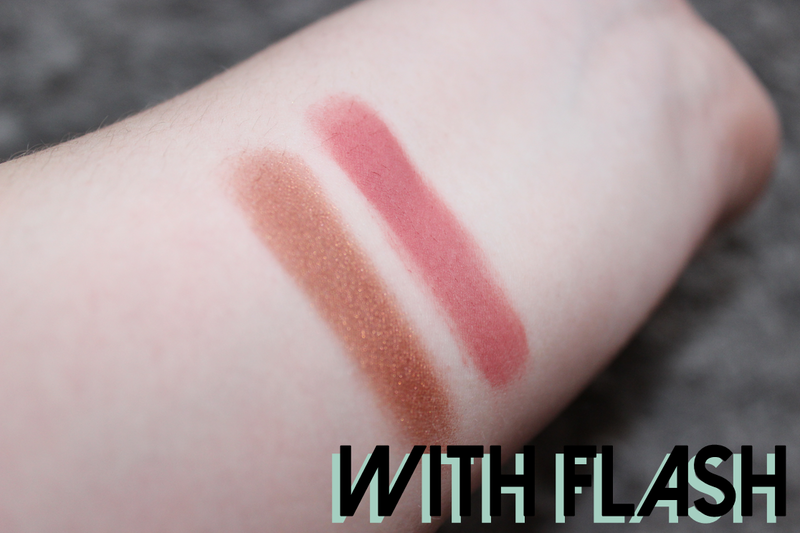 I wanted to get a blush and bronzer that was totally different to anything that I currently own and this duo certainly is! 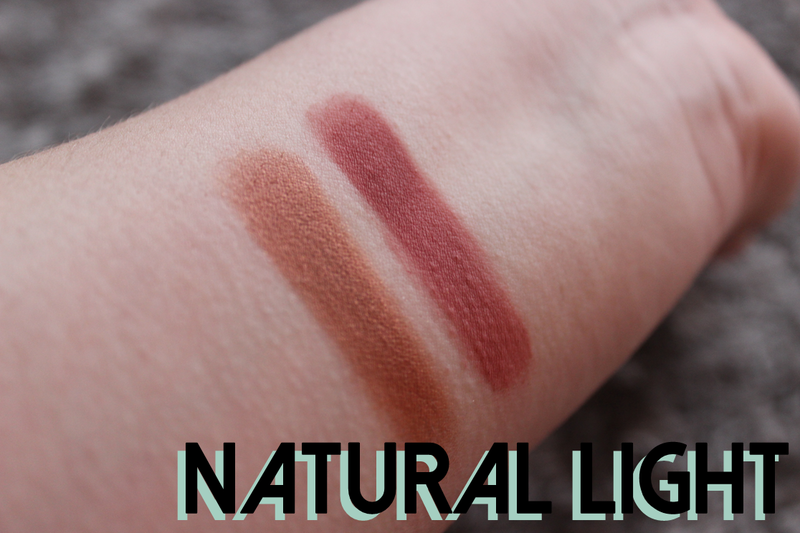 It took me a few tries to make these wearable as I have never worked with blushes or bronzers that are so pigmented but after some practice I can safely say that I love these! I was trying to wear them together but for a more natural look I prefer wearing them one at a time. The bronzer, as you can see in the photos, does contain a subtle shimmer under certain lights which I think is lovely. No one wants too much shimmer all over their face so this is just right. Overly done, the blusher can look awful, but done right and it looks fantastic. 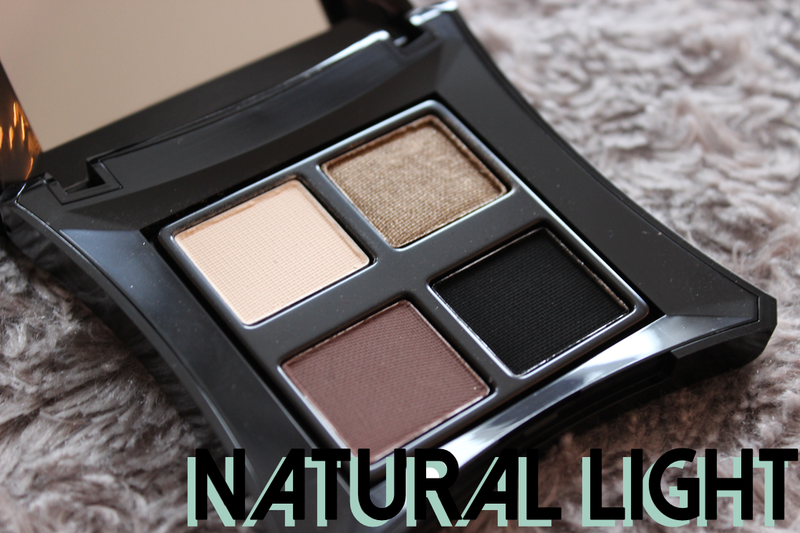 I own many a neutral palette with several colours so this intrigued me with just four shades. 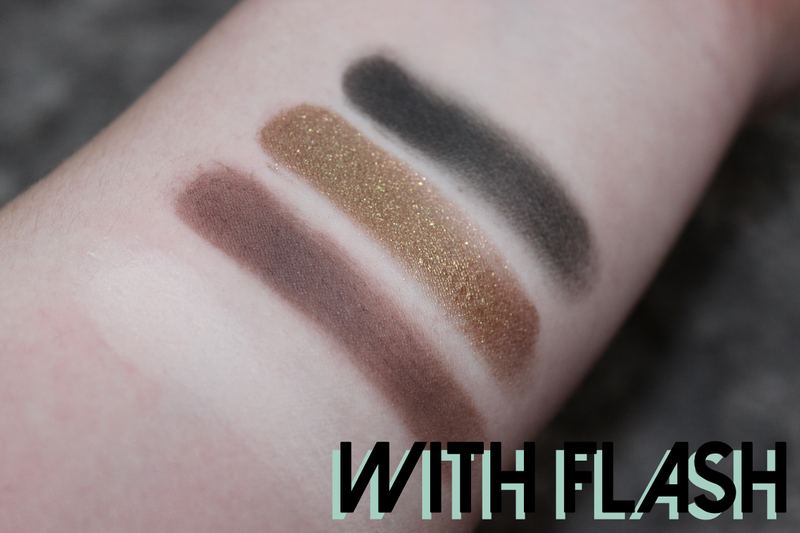 From left to right the shades are called Stealth, Wolf, Vintage and Obsidian. Vintage has to be one of the most beautiful eye shadow shades I have ever seen. After applying my Urban Decay Eye Primer, I wash Stealth all over the lid and concentrate the colour more in the inner corner. Then I take either Wolf or Vintage and apply it with my MAC 217 brush to the outer corner and crease and blend it through. To finish off, I use an angled brush to line the outer eye with Obsidian graduating the thickness as it nears the edge. This is such a wearable look and so easy to do yet so effective. Overall, I am extremely impressed with my first Illamasqua products and highly recommend them to anyone looking for some quality, unique products. I purchased these products from Debenhams to get the beauty points as I think they retail at the same if not similar price everywhere. 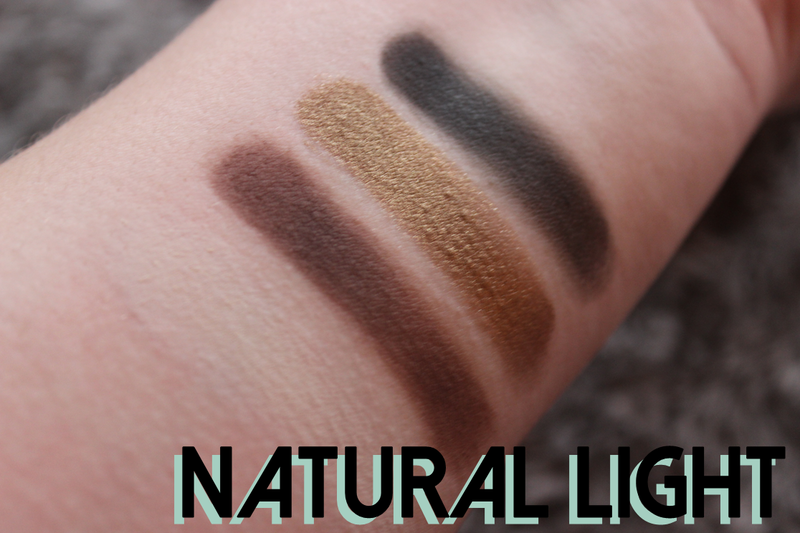 Unfortunately, I think the Neutral eye shadow palette has sold out everywhere but I have included the link in case it becomes available again. I hope you enjoyed my first haul post! 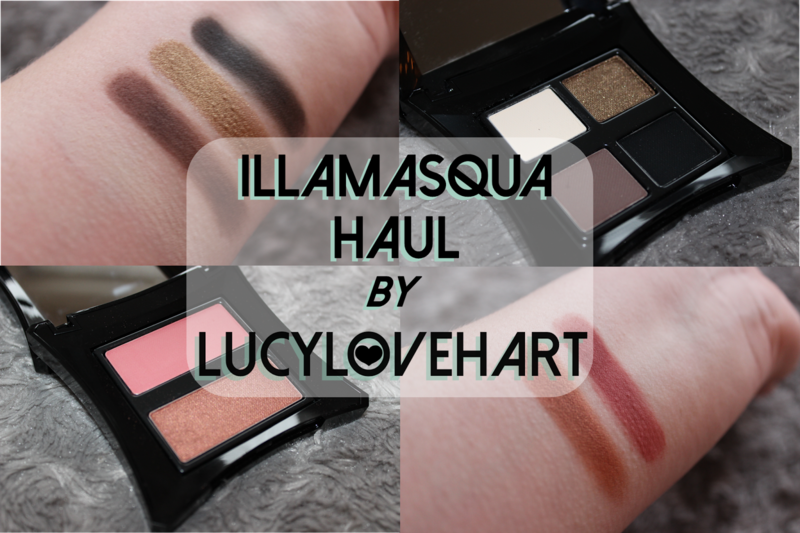 Do you own any Illamasqua products? What do you love most about them? My very lovely neighbour Amanda owns and runs an independent nails and tanning shop and since it opened, I have since been addicted to gel nails! She kindly invited me to have a full set of gels done using a new technique she had learnt called 'one stroke' which involves dipping the brush into two colours at the same time so they almost blend together. Amanda uses the Bio Sculpture system and whilst she was doing my nails this time, I took plenty of photos for all of you to see! First she had to remove the gels I had on previously, they lasted me a good two and half weeks and I could definitely have left them on for a further week had I not be going back to university. To remove the gels, Amanda first filed them down to remove the top coat and also to allow the gel remover through the gel. Then she soaks small pieces of cotton wool in the gel remover, places them over the nail and wraps them in foil to retain the liquid and allow the reaction to take place. You can actually do this at home if you have pure acetone just don't do what I do as the last few times I have damaged my nails peeling them off which is a total no no! The spray Amanda is using is an anti-bacterial spray which stops the nail bed trapping nasty bugs and getting infected. All the tools she uses are fully sanitised each time. It was then that we realised my favourite longest nail had slightly broken at the side and as I never had long natural nails this was gutting (yes, still talking about nails!). Amanda said she could fix it using the same technique as gel extensions to retain the length so she uses this foil sticker template tool thing (so technical) with a clear coat that strengthens and restores the nail to it's former glory. It then goes under the special UV lamps that dry in just 30 seconds. To help the gels come off when they have reached their end, Amanda places a small dot of nail polish in the centre of the nail which bubbles when reacted with acetone allowing the gel to lift of with next to no damage to the natural nail. Now the nails are fully prepped and ready for the base coat followed by the main colour; I chose a beautiful inky blue. Now you can get gels classically simple and beautiful like they are now, or you can find a specialist like Amanda who can create the most stunning hand painted designs. I adore floral patterns and as you can see in one of the first pictures, I am wearing a blue floral top which is where we sought inspiration for this design. As you can see on the brush, both colours are painted on at once which means they are blended perfectly. The beautiful floral design is then finished off with a clear top coat and placed again under the UV lamps. And here they are the finished result! I could not be happier with them and receive comments daily with people not being able to believe they are hand painted and not just transfers. Going to get my nails done with Amanda is such a treat and I always go when I can. I've had my nails done in various salons before but I cannot stress enough how much better Amanda is. I find my gels last between 2-3 weeks and can in some cases last up to 4! Also you can paint over the top with polish if you like the change up your nail colour frequently which I tend to do in the third week or so. Not only is she super talented but super lovely and the 1-2 hours spent having your nails done flies by with conversation. If you live in or around Buckinghamshire, I would seriously recommend checking out Amanda's facebook page where you can look at all her best designs. A full set of gel overlays costs £28* which is such a great price for the quality and time they last. I want to thank Amanda for these beautiful nails and can't wait to get more done in the future, I'm thinking glitter! Have you had gel nails before? How much did you love having them? Liebster Award - Nominated Again!! I want to say a huge thank you to Isobel over at isobelxhayes for my second nomination! 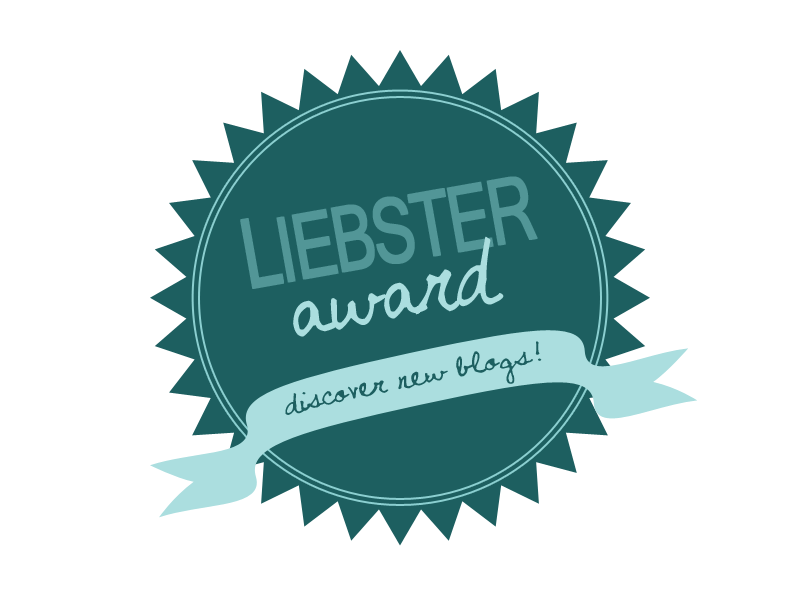 If you don't already know what the Liebster Award is you can check out my last post on it here where I explain what it is. I love it as I have discovered so many great blogs this way. Basically it's 11 random facts, 11 questions answered, 11 questions asked and your nominations. As I have already done this before I will skip the random facts part! 2. Name the top 5 places you'd love to visit, anywhere in the world. 4. Favourite book/series of books? 5. What do you work as/what do you want to work as? I'm currently at university studying hospitality which I now definitely don't want to do but anything to do with business, sales, finance... ultimately in the beauty industry would be amazing. 6. What type of blog posts do you find the most interesting? 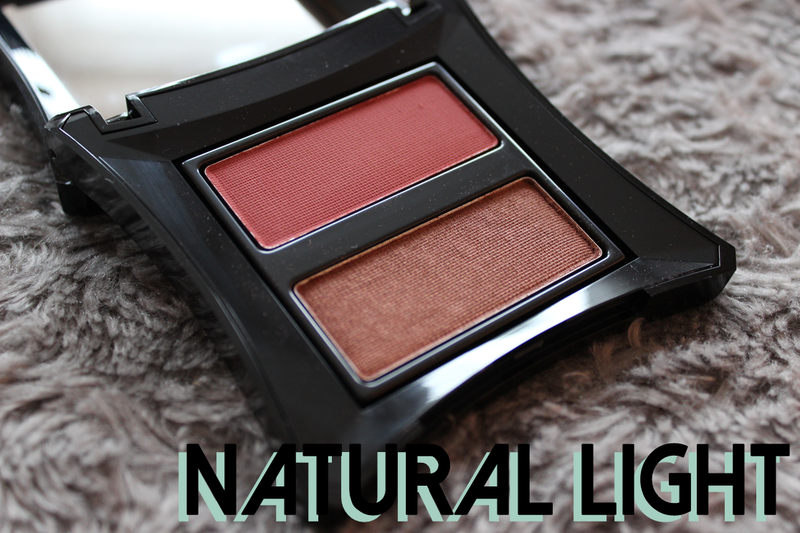 Beauty product reviews, I love to see how people use different products and what they think. California Fried Chicken in Bournemouth! Literally the best chicken nuggets ever. My family are my main inspiration but if we're talking famous people, probably Josephine Esther Mentzer better known as Estee Lauder. Dog! Terrified of cats! You can't tell what they're thinking! 11. Do you like junk food? 1. What is your ultimate favourite mascara? 2. What is your go-to nail polish? 3. Which is your favourite beauty brand? 4. If you only had time to put three products on in the morning, which three would it be? 5. What colour do you wear the most? 7. What is your all time favourite shop? 8. What cosmetics are you wearing right now? 9. Which cleanser are you currently using? 10. If you could design a make up collection for a well known make up brand, which brand would you most want it to be under? 11. What/who sparked your love for all things beauty and fashion and what do you love most about it? Thanks again to Isobel for nominating me again! Although you are no supposed to nominate who nominated you, I would love it if you would answer my questions Isobel! My favourite blog in the whole world and it happens to be written by one of my best friends! We Facetime for hours on end talking about make up and various other beauty products! Our regular shopping trips to Southampton seem to get more expensive each and every time. We can't window shop for our lives. She is also the best bargain hunter I know managing to pick herself up the latest designer items for fractions of the RRP! Hollie and I are course mates and many a lecture has been spent quickly catching up on latest buys and discovered blogs. She is relatively new to blogging but has made a great start and I really love her posts! Kat and I went to the same secondary school and we used to go to dance class together too! She is also new to blogging but her posts are already really great with lots of different things written about so be sure to go and check her's out! I hope you enjoyed this post and I look forward to reading your posts girls! If I haven't nominated you but you'd like to answer my questions, I'd love to read your answers so let me know if you write a post or simply answer them in the comments below! Like many beauty addicts, I am addicted to always having something on my nails may it be polish or gels but a particular favourite at the moment has to be these gorgeous nail wraps from Revlon. They teamed up with New York fashion house Marchesa to create a range of beautiful designs including the one I'm wearing called Jewelled Noir. In the pack you get two sheets of nail wraps, a plastic cuticle stick and a mini file. Normally in packs the little extras are of bad quality but I was pleasantly surprised! The cuticle stick is really nice to use, better than using that of a wooden orange stick and the nail file was the perfect amount of abrasive. For nail wraps these cost quite a bit so I had high expectations! To apply the nail wraps you take the transparent sheet that features the different nail wrap sizes and hold them above the nail to work out the best fit. Compared to the likes of Essie, I felt the sizes were a little off unless you have thin nails on all nails resulting in gaps down the sides of the wraps. Some people do actually leave gaps at the side of their nails when using polish to give the illusion of longer nails but it's something I don't personally love on my nails. To avoid these gaps you could paint the nail black before applying the nail wrap to cover the edges however this may shorten their life span. When you have selected the correct size, you simply peel and stick the wrap on the nail smoothing it out to ensure creases are limited. These nail wraps do crease a little more than I'd hope, especially on the thumbnails. You then trim the end of nail wrap leaving a couple of millimetres over hanging. Taking the nail file, you can then remove the excess and leave a nice finish to the end of the nail. My tip is to file slowly as the excess comes of much easier and neater also reducing the stretch on the design. Then you are supposedly done!... However it is much more beneficial to finish with your favourite top coat ensuring you seal the end increasing the life time of the wraps. Mine, like many, is Seche Vite. I've never had a problem going over my nail wraps before and the top coat usually enhances them but for some reason I felt the top coat highlighted all the imperfections in the application. But I have had them on for two days now and I can confirm they are still on my nails strong with very little wear and tear! Little negatives aside, I think the design on these wraps are stunning and I have never seen any nail wrap designs even come close to the calibre of artistry here. You can buy these at Boots for £8.99 by clicking here. They also sell the other five designs that also retail at the same price. Do you use nail wraps? How easy do you find them to apply? Do they last a long time?